Since my reviews of Glasses.com, DB Vision and Warby Parker exploded in popularity, I wrote two additional reviews for high index sunglass options - Cocoons and Eyefly. In response to requests, I have decided to continue my look at some of the latest trendsetting companies now selling eyeglasses online that fit a certain model set out in my earlier reviews. These new web stores offer a limited range of mostly non-designer frames in trendy styles, free home trials, a risk-free returns policy, free shipping both ways, preferably a charity program, and a price point around $100 ($125) for high indexes. In this respect, I'm not out to find the cheapest possible glasses, but the best value for money and most safe/reliable companies to buy from. Mezzmer kindly opted to take part in my review series, making it my sixth eyewear review since last year. At some point, I may move some or all of my reviews and how-tos to another blog for ease of browsing. There is an anthropological connection to my new work on online consumerism that will be made clear in the future. But for now, it's all about the glasses. We’re people just like you. People who wear glasses. People who are always astounded at the exorbitant price tag that comes along with glasses. We created Mezzmer to redefine how eyewear is delivered and give you an alternative to overpaying for your glasses. Without compromising on the style or quality. Brilliant. My experience with Mezzmer was just as refreshingly uncomplicated. The Mezzmer website has a simple yet bold design that is very clear and easy to navigate. I like that the images of the frames are big and clear before you click on them. A mouseover makes it easy to get more details, add them directly to your home trial order, or purchase. You can sort the frames by width (narrow selections shown in the screenshot above), color or face shape. Each frame page gives a nice succinct description of the frame style, views from a couple of angles, the measurements, a photo of a model wearing the glasses, and a guide to the fit. The simplicity of the layout makes it easy to find what you're looking for. The only improvement I would recommend – as always – is that they add a vertical measurement to the frame size guide. But their in-home trial program takes the guesswork out of sizes, anyway. I counted around 40 optical frames ($99 including lenses; $129 for high index) and they also carry a range of polarized sunglasses ($99 incl. non-RX lenses; $149 for prescription), making them a very affordable choice for both types; see below for discount codes. This review is for a pair of optical frames. Browsing through the selection of frames on the website, I found that I liked a majority of them. The collection as a whole is definitely my style. Although they are all acetate frames, the selection caters for all tastes, from narrow to over-sized frames, round to rectangle, and classic colors like tortoiseshell to bold red or fades. The connecting aesthetic of the collection is that they are all riffs on classic shapes and color tones with nothing excessively flashy or complicated. Since I already have a pair of slightly narrow rectangular frames and glasses with wide and embellished arms, I was hoping to find something that had a more classic design and an overall slim build with not too chunky a profile. This can be a problem in my Rx, because the lenses tend to be heavy and can cause a lightweight frame to slip or tilt if it isn't very well constructed and balanced. Because I have a petite face, I normally can't shop beyond the Narrow category or possibly Medium depending on the frame dimensions. 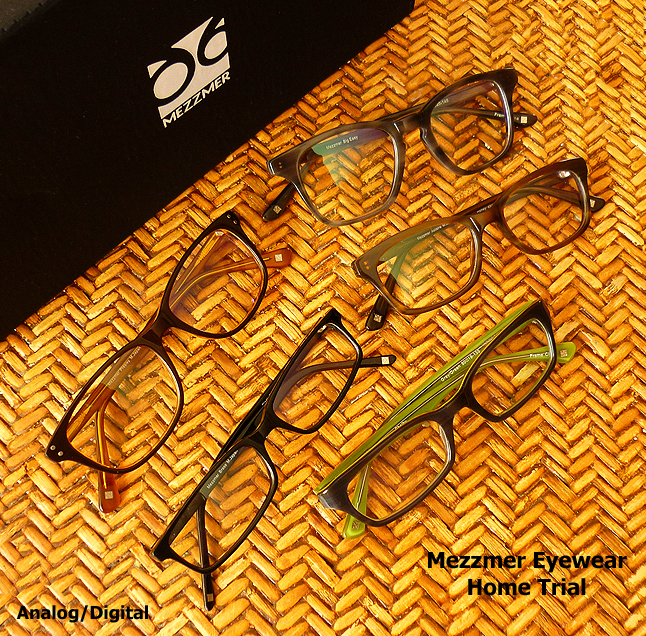 The good news is that Mezzmer's selection of narrow frames is quite diverse compared to other retailers. Just because you have a narrow face doesn't mean you want basic small frames! 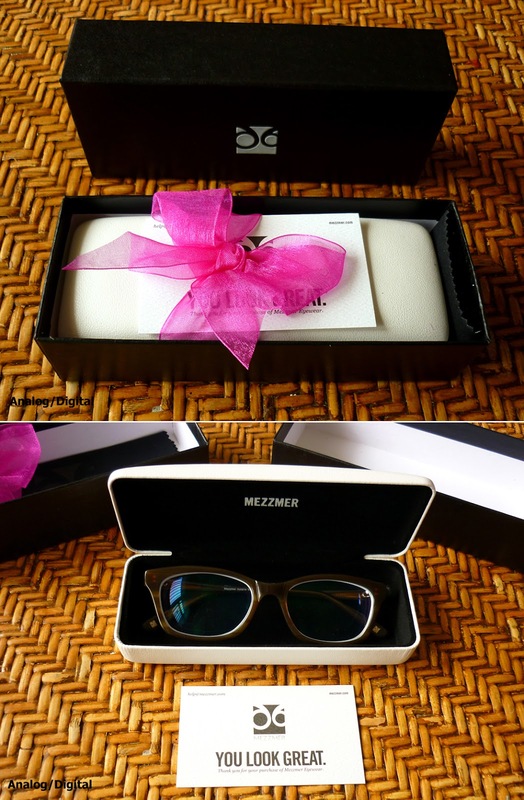 You can order 5 pairs of Mezzmer frames to try at home before you decide. As professed in my previous glasses reviews, I am a huge fan of home trials and believe that the opportunity to try glasses at home has truly revolutionized the eyewear industry, enabling online companies to compete with brick-and-mortar retailers and, above all, for customers to get the best shopping experience. The difficult part was choosing just 5 frames that I liked best. On the website, I fell in love with Presley, which comes in three great shades enhanced by a back layer of contrasting color acetate (tortoise/pink, brown/amber and black/crystal). I am a big fan of small details like that. Next, I added Big Sky in ash gray, a big bold frame with a keyhole bridge like the one I like so much on my sunglasses from my last review. Then I chose two slightly smaller frames keeping in mind my ideal measurements. Astaire had the right dimensions and also the thinner profile I was looking for. I chose the warm honey color instead of black on impulse. Shelby was my fourth pick. The gray color I chose has a lime green backing and a pearlized finish on the stems that looked a bit tortoise-y in the photos. These highlight the overall impression I got of Mezzmer's attention to details with frame selection: the bold and unique aspects are carefully balanced in placement keeping true to more classic styles. The last pair I added for home trial was Brass, a timeless, thin, black rectangular frame. Always a solid choice. My home trial kit arrived within a couple of days of placing the order. The frames were well-presented and in good condition for trying on, each packed in a plastic baggie and housed in a tray case. I started with Presley, my favorites from the website. They looked just as great in person, but were sadly just too big for my face. Big Sky were also too tall/chunky and a bit uncomfortable because they sat too high. Brass were fine, if a little wide, and would have been perfect a few months ago when I was looking for plain black rectangular frames to replace my old computer glasses that were simple black wireframes, but I was hoping to find something that made more of a statement and was unique to Mezzmer. I also have to be careful with wide frames because of the high index lenses I need (see the Frame PD tutorial I wrote in the second half of this post to learn why). On the other hand, Shelby, the gray with pearl arms and lime green contrasts, definitely stood out to me. They were perfect for my face with the right proportions and rounded edges that I've come to prefer over sharp rectangles. The flare at the temple wasn't too conspicuous, the brow hit just right and they did not overpower my face. From the front, the gray is the predominant color, but the green adds a bit of interest. It was a close call between these and the final pair I tried, Astaire. When I first put them on, I wasn't too sure about the size and shape. I soon fell in love with them. I would usually go for a straighter brow, but I was sold on the beautiful honey-brown tone that matches my hair in the light and the timeless simplicity. Having done a few home trials now, I can't emphasize how important it is to try all the options on a few times spaced out over the week you have them. The good thing about home trials is that while you might find that your favorite frames from the website just aren't right (like I did), that doesn't mean you won't find something that suits you even better, so be open to the process. If, like me, you can't see yourself in the mirror when you're wearing trial frames with non-Rx demo lenses, another tip that I haven't mentioned so far is to take short videos using your webcam of you trying on different styles. Previously I suggested taking photos, which works, too, but videos can give a more realistic look at how the frames will look in normal conditions. The glasses were very well packed and presented on arrival, complete with a friendly note card and a pink ribbon. They also came with a branded black cleaning cloth. The white case is lightweight and has a padded top, which is a nice touch. I was impressed with the quality of the frames from Mezzmer and extremely pleased that I decided on Astaire. They arrived clean and ready to wear with no adjustments needed. To put this in context, so far my glasses from DB Vision, Glasses.com and Warby Parker all needed adjustments upon arrival or shortly after. Finding a local optician to do this is quite the task where I live. DB Vision is in Texas, so no help there. Warby Parker's office in Manhattan is way too crowded at the times that I can possibly go there. Glasses.com took several returns to get my order right and I even had to return my first Eyefly sunglasses for a replacement. Since buying online is always a calculated risk and Mezzmer is entirely web-based, it I couldn't be happier that they arrived so perfect. There is a $30 bump in costs for 1.67 high index lenses from Mezzmer, which is the only suitable option for my prescription. As mentioned above, because these can be heavy (and my right lens is slightly thicker than the left), it is often risky choosing a slim or light frame to contain fairly big lenses. But there are absolutely no problems with my Mezzmer glasses. They are ideally balanced. The clarity of vision is also accurate, clear and undistorted. The lens sits well in the frame with no defects in manufacturing around the edges of the kind I have noted from other retailers before. I don't get any eye strain whatsoever. They are also easy to clean. In short, I am really impressed with Mezzmer and have no doubt that you will be, too. Customer service at Mezzmer is friendly and efficient. Co-founder/owner Roger personally replied to my email to accept my invitation to participate in my review series and graciously provided me with the glasses and all the personalized assistance I would need. I also received prompt automatic notifications throughout the various stages of my home trial order, delivery and return as well as a tracking number for my order. Everything went smoothly. But don't worry: if you're not fully satisfied with your own order, there is a 30-day return or exchange policy. 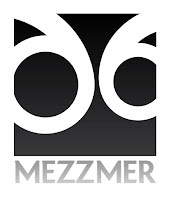 Mezzmer also takes social responsibility seriously by donating 3% of each sale to charity through their buy and give program. Unlike some of the other charity programs from eyewear companies that I have described here, Mezzmer lets the customer choose the non-profit organization that will receive the funds: Big Brothers, Big Sisters; Helen Keller International; Breast Cancer Research Foundation; Animal Welfare Institute; or Action Against Hunger. They are all worthy causes and every donation counts. I highly recommend Mezzmer Eyewear for your next pair of glasses. The only thing better than a great product and exceptional service is a discount on top. Right now you can get a coupon code for Buy One Get One 50% off on all glasses by liking Mezzmer Eyewear on Facebook. See the slider ad on the left side of the Mezzmer homepage. Alternatively, take 25% off your order with the code SPRING25, also currently available on the website. Thanks to the overwhelming and positive response to my eyeglasses reviews, I have learned a lot about the various companies offering glasses online today. Each review has been a great experience which I have been happy to share. So far I have covered: DB Vision, Glasses.com, Warby Parker, Cocoons, Eyefly and Mezzmer. Other companies which fit the model described at the top of this post include: Fetch Eyewear, Lookmatic, BonLook, BenjiFrank, Collins Bridge, Tortoise & Blonde and ClassicSpecs. Warby Parker and Eyefly are also of this type, but DB Vision is no longer in the same price range. (FYI - Australia has its own locals, Sneaking Duck and Oscar Wylee, but I don't recommend Oscar Wylee because they promote their company through comment spam and that's not working with social media, it's working against it. So send all your Aussie business to Sneaking Duck!) Finally, there is a whole other side to the online eyewear marketplace that has had a presence on the web for some time, including the likes of Coastal, Zenni Optical, 39dollarglasses, EyeBuyDirect and Firmoo. Since shipping and returns are not free and high index lenses cost too much to take the risk, I have not drawn my attention to them as yet. But all of these retailers could benefit from an extensive review. Stay tuned to see if any of them make it here and also drop a line in the comments if there's a particular review you'd like to see me write. You can also get glasses news, discounts and updates via my Glasses Collection. Thanks for your comment, mentsmin. I've just looked over their website and you're right, they have taken away the home trial option. That's unfortunate. I would re-order my same glasses from them in an instant. They have even reduced their prices to $69 for a standard pair. But getting rid of home trials and not having at least a local storefront or anything does put them well behind the competition. Looks like they no longer exist?! @kimi, I know. I'm disappointed. I would have definitely purchased another pair.